AMD Ryzen was one of the tech highlights of 2017 but when it comes to laptops Intel’s CPUs rule the roost. 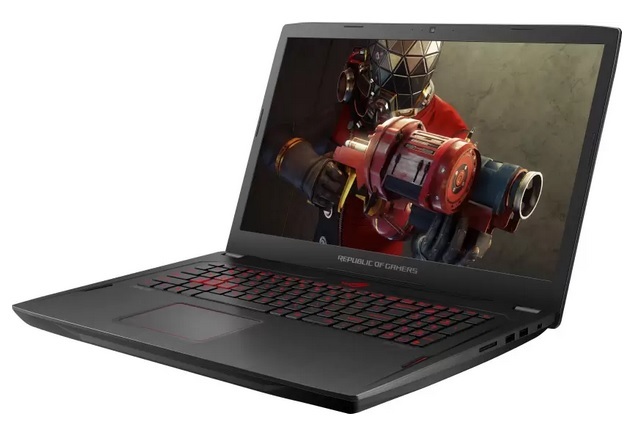 While Asus was among the first companies to announced a gaming laptop packing AMD’s new CPU in the form of the ROG Strix (GL702ZC), it’s only now arriving in India and will be available on Flipkart for Rs. 1,34,990. The specific model listed on Flipkart is the Asus ROG GL702ZC-GC216T, which features an AMD Ryzen R7 1700 processor with 8 cores and 16 threads, clocked at 3.0 GHz and with a peak turbo boost speed of up to 3.7 GHz. The Ryzen 7 is paired with a dedicated 4GB GDDR5 Radeon RX580 graphics card. To manage the heat emission, Asus has employed its Hyper Cool Duo-Copper Cooling technology, working in tandem with a dual fan system to efficiently manage thermals during graphic-intensive tasks. There is 16GB of GDDR4 RAM which can be upgraded up to 32GB, alongside 256GB of SSD and 1TB of HDD storage. The laptop packs a 17.3-inch Full HD LED Backlit display with a layer of anti-glare film on top and AMD’s FreeSync technology to minimize visual lag and frame-rate stutter. Users can also connect the laptop to an external FreeSync-supported monitor via the HDMI port onboard. The ROG laptop features a rich selection of ports viz. 3 x USB 3.0 ports, 1 x USB 3.1 Type-C port, 1 x HDMI v1.4 port and a hybrid SD/MMC card reader, alongside Bluetooth v4.2 and WiFi 802.11ac to handle wireless connectivity. The ROG laptop is equipped with is a 4-cell 280W Li-ion battery and runs Windows 10 Home. Flipkart is giving a cashback of up to Rs. 12,000 on the laptop as an exchange offer, alongside no-cost EMI options and a 5% discount for purchases made with an Axis Bank Buzz Credit card.